Lock your love and throw away the key. 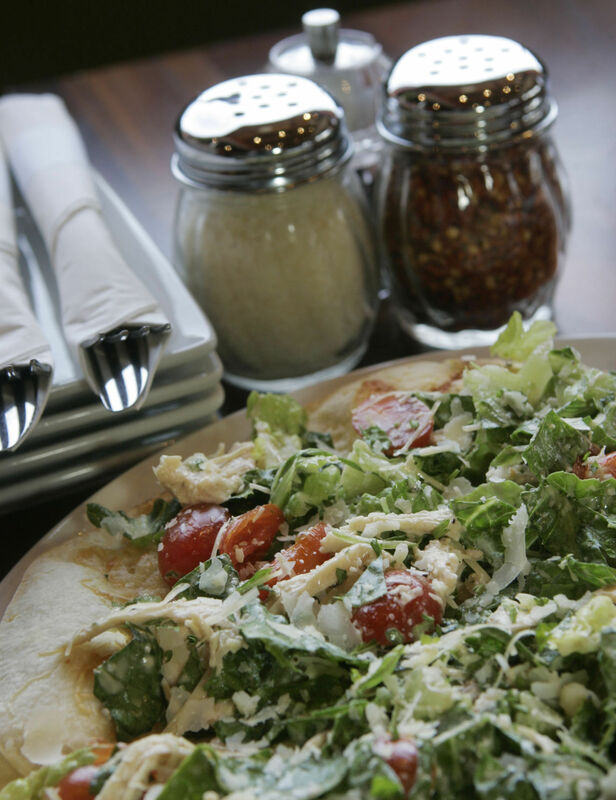 Sauce Pizza & Wine, with four locations here, offers thin-crust pizza and salads. And, good news for my fellow procrastinators out there: You don't have to plan months in advance. 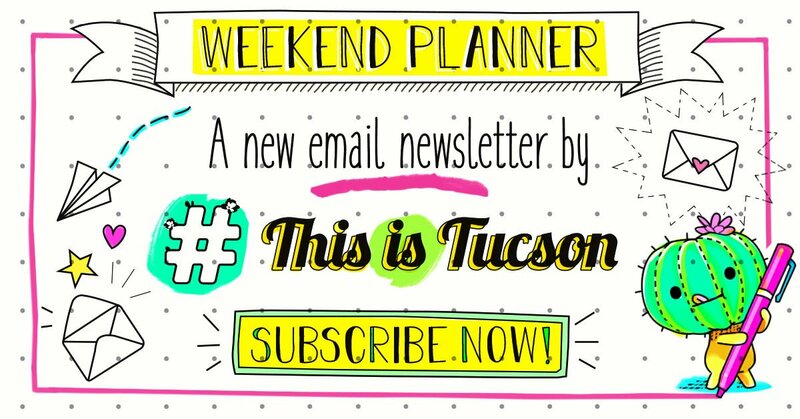 Those are two of the beautiful things about Tucson. Whether you're trying to impress a new love interest or you're a love veteran, these ideas will make for a fun date night without killing your bank account. You might be FB official, but are you Fourth Ave. official yet? If not, buy a $5 lock, write your names on it with a sharpie and lock it onto a love themed sculpture on the Fourth Avenue at this early Valentine's event. It's a small price to pay for a big gesture. Plus, that money benefits local charities. The lovely ladies at Silver Sea Jewelry will engrave your locks with two names and a heart for $5. While you're there, check out the specials some of the merchants are having, grab some food and sing karaoke at Haggerty Plaza. Lock Your Love takes place from 2-6 p.m. Saturday, Feb. 9. Go here for info. Go see the classic Rom-Com, "When Harry Met Sally" at The Loft Cinema. Go a little early and eat cheesecake from Sarge's Cheesecakes truck and sip on coffee from Little Boler Beanery food truck. The'll be there starting at 5 p.m. You can also win a prize by sharing your best, most romantic relationship story. When: Thursday, Feb. 14, 7:30-9:15 p.m. They say the way to the heart is through the stomach. Splurge on a romantic, tasty dinner for two at Sauce Pizza and Wine. You'll get a hand-tossed salad, 12-inch pizza and two glasses of wine for $22. If pizza and wine don't sound good, you can substitute pizza for any entree $10 or less or beverage $7 or less. Go here to find the location nearest you. Note: This got changed because it might rain. You can still go for Arizona birthday cake, but the bike ride is this weekend. If you and your crush share a love for bikes, go for a community bike ride this weekend. You'll ride from the Tugo station near Exo Coffee to the Mercado Annex. If you don't already have a bike, you can use a Tugo bike for free. Where: Meet at the Tugo station near Exo Roast. Here's a map. Head over to 1912 Brewing, 2045 N. Forbes Ave., from 6-8 p.m. Feb. 14 for a romantic evening featuring a special beer release and treats from Daniela's Cooking. Go here for details. A night of laughter is just what the doctor ordered. Watch as two improv comedy teams of three battle onstage for your laughs and "street cred" awarded by the audience. Teams consist of single people versus married. When: Thursday, Feb. 14, 7:30 p.m. Paint together by candlelight. Your $25 admission includes the studio fee for two, a heart ornament and sweets. Pottery not included. When: Thursday, Feb. 14, 5-6:45 p.m. and 7-8:45 p.m. Date night is a glorious thing. There's a lot of pressure when it comes to planning the perfect date night.